Animals tongues are much more useful than humans! Most of the lizards have short and round tongues. Chameleons have elongated, extrudable tongues yet not forked. 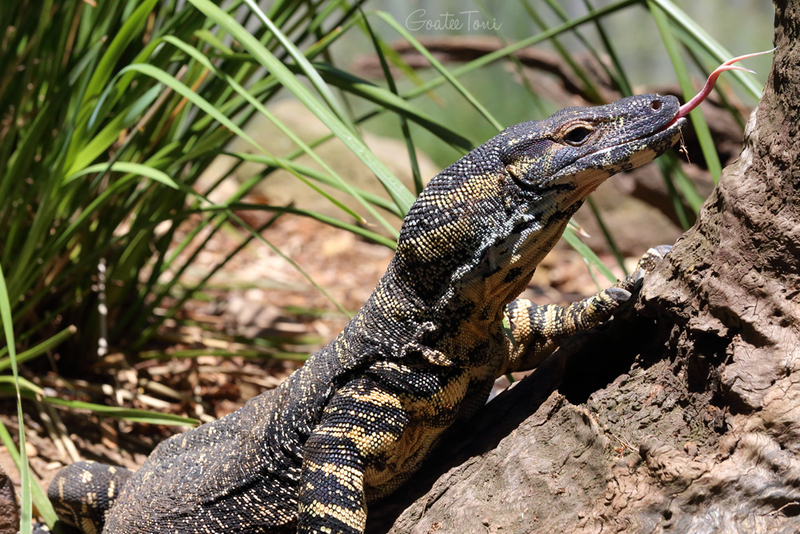 The only lizards with a serpent-like forked tongue are the carnivorous ones of a larger size in family Varanidae (Monitors, goannas, Komodo dragon) and Teiidae (Tegus, whiptails, caiman lizards). How Do Their Tongues Work? Snakes and some lizards rely on flicking out their tongues to collect environmental information. Every flick receives odors and miniscule moisture particles floating in the air. When the tongue is back into their Jacobson’s organ the collected data will be processed and converted into a 3D image resembling the surrounding environment. Being forked in the tip helps them tell objects on the left from the right. The difference is the lizards forked tongues are way longer than snakes. Lizards have higher mobility with heads higher up above ground hence the longer tongues help to reach the ground for the smell of earth.